Buying a home is one of the best and most stressful times in a family’s life. It is often the largest investment of money a family will contribute to, and as such which shopping for a home you not only want to ensure that you are getting a good deal but that your investment is sound. This is why a home inspection is critical in the home buying process. 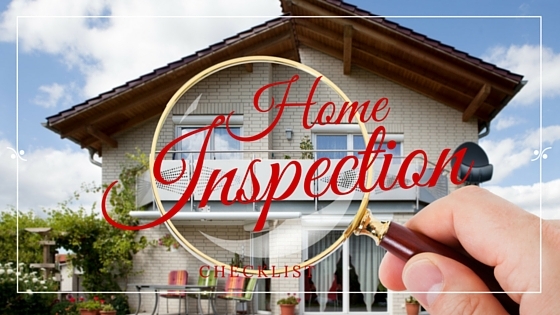 A home inspection is a limited, non-invasive examination of the condition of a home, often in connection with the sale of that home. Home inspections are usually conducted by a professional who has specific training and certifications. Your REALTOR® will help you find a professional, and licensed home inspector that will come to the home to perform the inspection. Time isn’t always on your side. There are thousands of potential hazards when purchasing a home, and most buyers have no idea where to being to look for problems. That’s why it’s so important to have the proper inspections completed before the expiration of the inspection clauses. Once you’ve found your inspector, have him or her come out before the expiration of the inspection clauses in your contract. You will usually have about five days from the time your sign the contract to have your inspection. Don’t wait until the last day. Go to the inspection and walk around with the inspector. Ask a lot of questions as you go along. The inspector should be happy to explain everything to you. It’s an excellent opportunity to learn about the home you’re buying and what to watch out for in the future. Often they will show you how to turn off the water heater, the electric box, and all the plumbing. This time allows you to get to know the house. At the end of the inspection, the inspector will give you a report of what’s wrong with the house. Take a moment and read through the report with your REALTOR® and don’t be afraid to reach out to the inspector if you have any questions. Once you’ve read through make a list of the items that must be repaired for the functionality of the home. Loose carpet, or cosmetic items should not be included in these negotiations. The inspection period can be stressful because home buyers might be worried about what the report says or how the sellers will respond to repair requests. You need to know your limit for walking away and stick with it.